The rules of homemaking have radically changed. Today’s generation is digitally connected 24/7 and often more focused on climbing the career ladder at the office than the stepladder at home. But the home “maker” evolution has just begun. Thanks to advances in technology, tomorrow’s men and women will find themselves using new gadgets and apps to cook, clean, decorate, and even manufacture everything from decor to clothing, from right inside their homes. 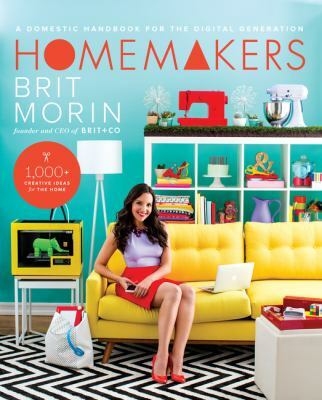 In Homemakers, Brit Morin, founder of the wildly popular lifestyle brand, app, and website Brit + Co, reimagines homemaking for the twenty-first century, making it as simple as possible to go from amateur to pro with easy charts, tips, recipes, DIY projects, and tech shortcuts. Design enthusiasts are bombarded with beautiful inspiration at every turn, but many lack the foundation necessary to re-create their dream projects. 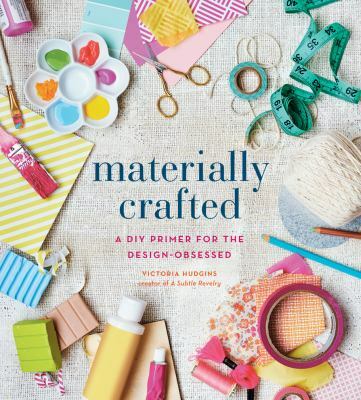 Materially Crafted is a must-have guide for design mavens seeking to develop their DIY chops, even if they’re embracing their crafty side for the first time. Project Runway is finally back on (although, stilts? really?) and summer is winding down and heading toward fall – it’s the perfect time to take stock of your wardrobe and make some updates. Need some help? Try these for inspiration. 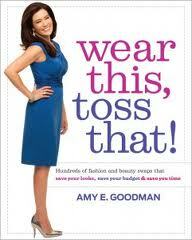 Wear This, Toss That! by Amy Goodman. It’s fun to go through the pictures, comparing the “wear” with the “toss” (and sometimes cringing because you know you have a few “toss” items in your closet right now!) and figuring out why Goodman makes the recommendations she does. 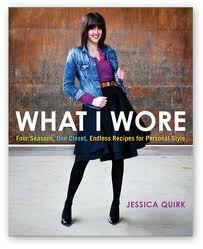 It’s a good education on learning how to recognize flattering styles for the average woman. Easy Closets by Joe Provey. Now that you’ve got your wardrobe shaped up, get your closet in prime condition. After all, if you can’t lay your hands on that perfect white blouse, it’s not going to do you much good. Easy Closets has lots of ideas for the perfect arrangement, covering everyone in the family and even the kitchen and garage. Neat and tidy. 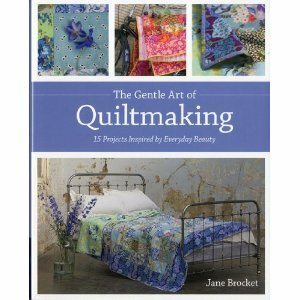 Filled with beautiful photos, The Gentle Art of Quiltmaking by Jane Brocket is not just for quilters – anyone will be able to find ample inspiration in the designs, colors and presentation of these glorious quilts. 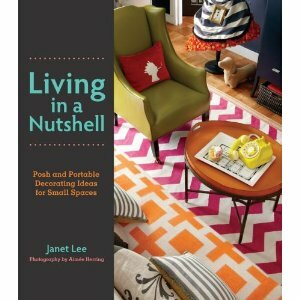 Ideal for beginners as well as more experience quilters, instructions are given for 15 quilts and emphasize simplicity. 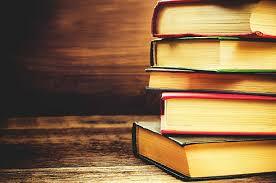 Descriptions are clear and written in a chatty and encouraging tone. These quilts are more European in style; many take full advantage of the lovely large floral fabrics that are becoming more popular, and have a softer, less defined overall look and feel than many traditional American patchwork quilts. They are undeniably lovely. Perhaps the most valuable aspect of this book though, is the design and inspiration process that Brocket takes us through for each quilt. The author shows us what has inspired a particular quilt – a favorite summer dress, flowers from the garden, a backyard hammock, tiles from Lisbon or a shawl from Russia – and then demonstrates how she translates this starting point into a quilt. Besides the usual section on how to make a quilt, Brocket lists favorite inspirations – books, shops, blogs, museums – and gives valuable insight on how to translate your vision into a finished object to be loved and cherished. 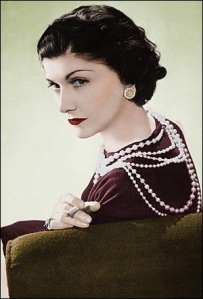 Today is the birth anniversary of Coco Chanel, one of the most important and influential designers of the 20th century. The very epitome of effortless French style, Chanel revolutionized the fashion world when she introduced men’s clothing (slacks) for women’s wear. Her signature looks – comfortable and simple yet elegant – included the dramatic use of costume jewelry (notably ropes of pearls), sportswear, collarless jackets paired with simple skirts and the “little black dress”. She was the first designer to put her name on a signature perfume; Chanel No. 5 was created in 1921 and continues to be one of the most popular perfumes on the market. Reminder to our Readers! Don’t forget to leave a comment on last Friday’s blog post about your favorite QC area Staycation destination! Someone’s going to win two tickets to the Putnum Museum and IMAX movie Kilimanjaro: To the Roof of Africa – might as well be you!